Get ready for a media and entertainment technology mega-show in Las Vegas this coming April. The National Association of Broadcasters (NAB) Show is expected to host over 1,700 companies displaying exciting products and technologies to help TV broadcasters and movie makers pump out the news and entertainment. The LTO Program will be there to discuss how these creative enterprises can easily store and protect their creative content with LTO-8 technology and LTFS, especially with the video storage demands of 4K and 8K ultra-high definition (UHD) resolutions. 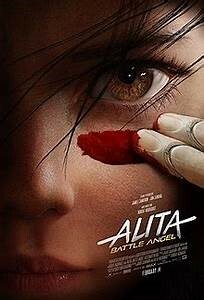 The advent of high definition resolution has created some remarkable movie imagery, such as the stunning footage in this trailer for the recent production of Alita: Battle Angel. As stunning as new picture formats look on the big screen, the use of ultra-high definition resolution can create big storage demands. To put this into perspective, 90 minutes of raw 8K footage can require up to 18TB of storage! Add in multiple cameras, 3D, multiple takes, extra scenes and you have a storage management undertaking that can make a video producer cringe – like a combatant facing Alita’s wrath! 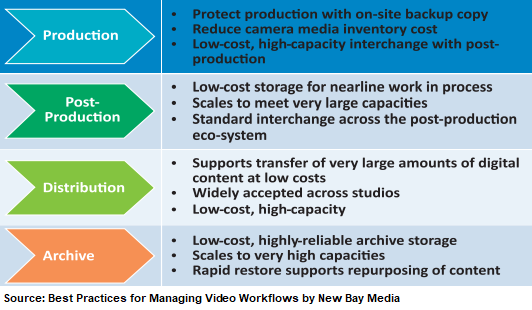 Production: One of the biggest challenges is protecting and managing each day’s media files in a cost-effective way. Post-production: The storage and workflow requirements of post-production are unique – post-production work demands a very high performance infrastructure and the material being processed must be properly stored and protected. 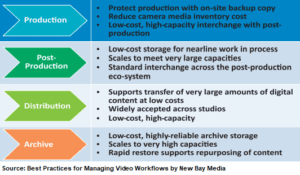 Distribution: For content delivery, the major workflow challenge is moving material cost-effectively across a distributed ecosystem. Often the size of the files ranges up to hundreds of terabytes, making an efficient distribution strategy critical. Archiving: The core challenge for archiving is finding a secure, cost-effective storage medium that can house massive amounts of content for extended periods of time, while also maintaining an index of this content. In a nutshell, LTO technology is state of the art tape storage that can store up to a whopping 12TB of native content per cartridge (up to 30TB compressed), helping to manage huge file demands. LTO technology has been shown to have the lowest total cost of ownership compared to disk and cloud storage offerings, which means you can save your content and your money by storing it on tape. LTFS, the Linear Tape File System, makes viewing and accessing tape files easier than ever before. It’s as intuitive as using a USB flash drive! Here’s how: the LTO tape appears in the operating system directory tree just like other storage devices. With a simple click of the tape icon, folders and files can be easily and instinctively accessed. LTFS can be utilized in small-to-large configurations consisting of a single tape drive or large tape library environment integrated with workflow and archive management applications. See a list of LTFS implementers here and an LTFS descriptive video here. 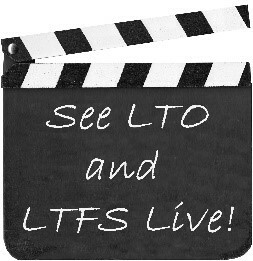 You can see LTO and LTFS technology live! Join us at the NAB exhibition south hall booth #SL11113, Las Vegas, April 8-11. LTO Program experts will be there demonstrating LTFS with LTO-8 technology and answering your storage questions!